Postcards from the Gods: Guardian: Coney's no island: could streamed theatre let audiences call the shots? 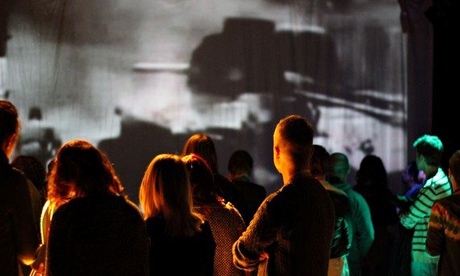 Guardian: Coney's no island: could streamed theatre let audiences call the shots? I've written a thing about live-streaming theatre/performance for the Guardian. It's slightly edited (very sympathetically, no complaints here), so I'll post the full (or, rather, "original, messy") version here when the comments are closed there.